MarketingExperiments and its parent research organization, MECLABS Institute, have become well known for our heuristics. If you’re already familiar with what a heuristic is, feel free to scroll down to see the cheat sheet. If heuristics are new to you, first a quick explanation. A heuristic isn’t an equation to solve, it’s more of a thought tool to help understand a process or method. Since not every person in a marketing department or advertising agency just preternaturally “gets it,” performance can be lumpy, and it’s hard to field a marketing team that performs well across the board. MECLABS Institute has developed a series of patented methodologies (Pat. No. 8,155,995) to help marketing, advertising and business leaders bring rigor to the way their teams think about executing marketing tactics as well as serving a customer with their marketing. These heuristics were developed from patterning the results of our research library. The goal of these heuristics is to systematically diagnose the inefficiencies in your sales, marketing and conversion process. They are tools to help identify where to focus your energies when moving through a conversion opportunity. Here is a quick glance at these heuristics, with links to more in-depth information. This is our most well-known heuristic, so you’ve probably seen it around before. Since it is the most fundamental heuristic — after all, the main goal of marketing is to inform potential customers to get them to act — I will go into this heuristic in the most detail. The MECLABS Conversion Index sequence seeks to identify the factors you can influence to help increase the probability of conversion (C in the above heuristic). It can help you step out of your marketing department and get in the shoes of the customer. An effective strategy is to target customers or channels that have a higher motivation to buy your product. To understand a user’s motivation and design relevant webpages to their needs, you must analyze the behavior of both online and offline traffic channels. Value Proposition (v) is the primary reason why your prospect should buy from you rather than any of your competitors. There are four elements to a powerful value proposition. Exclusivity (I can’t get it anywhere else”) — Exclusivity is related to the number of competing options. The lower the number, the better. Clarity (“I understand it/you”) — Is the message clearly articulated, and can the prospect easily find the message? Length — This might be the number of fields or the number of steps from Point A (desire to buy) to Point B (purchase). Difficulty — This might be the nature of the fields, a disruptive eye path or page elements that cause visitor annoyance. The objective is to minimize not eliminate friction. If you eliminate all friction, you eliminate “the sale” (for example, you cannot remove a credit card field). Anxiety is psychological concern stimulated by a given element in the sales or “buy” process. Specificity — Corrective measures address the precise source of anxiety. Proximity — Visitor experiences corrective measures at the same time and place as anxiety is experienced. Intensity — Corrective measures are amplified to overcome irrational fears. Incentive is an appealing element such as a discount, a bonus or special offer introduced to stimulate a desired action. Incentive is used to “tip the balance” of emotional forces from negative (exerted by friction elements) to positive. 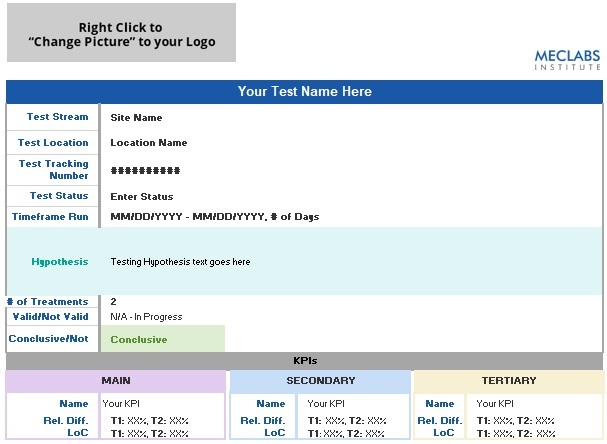 An effective test plan tests the other elements in the Conversion Index first, then seeks to test the impact of an incentive for additional improvement. 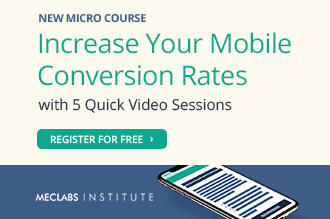 To learn how to apply the Conversion Index Heuristic in your marketing, you can take the MECLABS Landing Page Optimization online certification course. As mentioned in the previous heuristic, the proper use of incentive can help increase the probability of conversion. This heuristic helps you identify the most effective incentive to use. You can learn more about the Perceived Value Differential Heuristic in the article Finding The Ideal Incentive: How We Increased Email Capture by 319%. Since incentives often have a monetary cost, the Return on Incentive Heuristic helps call out the need for determining which incentive is actually most effective. The danger with incentives is that you could use them to increase an intermediate metric but hurt your overall results. For example, you could offer free shipping and gain more sales. However, if you don’t keep an eye on the return on incentive, you might overlook the fact that you’re losing money on each sale because the shipping is so expensive. To learn how to apply the Return on Incentive Heuristic to your business, you can take the MECLABS Landing Page Optimization online certification course. The Friction Heuristic takes a closer look at another element of the Conversion Index Heuristic. To learn how to use the Friction Heuristic on your marketing, you can take the MECLABS Landing Page Optimization online certification course. The Net Value Force Heuristic helps you understand which elements to adjust to increase the force of a value proposition. Learn more about using this heuristic with your business in the Value Proposition Development online certification course. 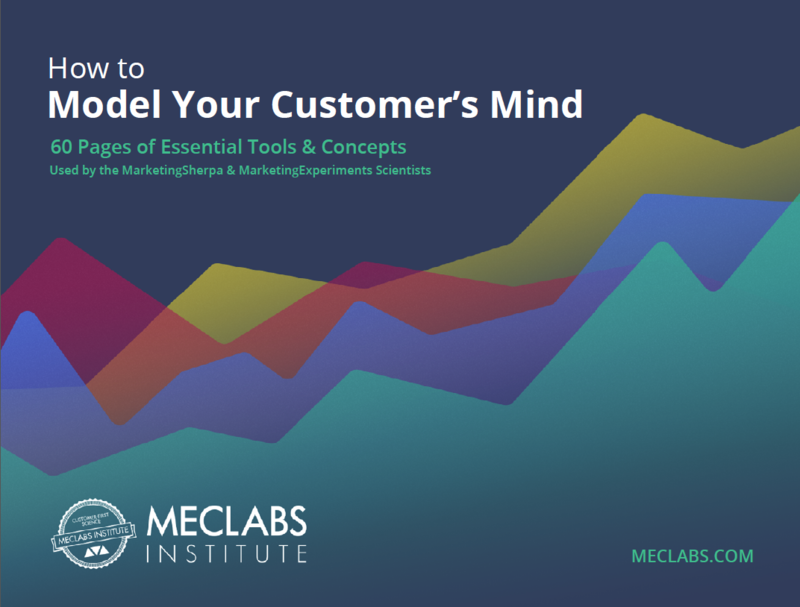 The MECLABS Optimization Sequence guides the order in which you should optimize your sales and marketing funnel. Namely, make sure you have a high-quality, valuable product before you craft a landing page for it. And make sure you have a good product and an optimized landing page before you start driving traffic to it. Learn more about the Optimization Sequence Heuristic in the video How to approach a Minimum Viable Product. The previous heuristic shows the proper priority of channel optimization. The MECLABS Email Conversion Heuristic helps you optimize your messaging specifically for an email channel to increase your effectiveness. You can learn more about the Email Conversion Heuristic in the article Email Marketing: 91% of marketers find target audience testing effective. The Email Messaging Optimization Index helps you improve email effectiveness by prioritizing your email marketing optimization efforts. Learn more about the Email Messaging Optimization Index Heuristic in Internet Marketing for Beginners: Email marketing optimization 101. The Ad Messaging Index Heuristic provides a framework for optimizing a significant channel for most marketers — advertising — to create an effective ad. Learn more about the Ad Messaging Index in the article Banner Ad Design: The 3 key banner objectives that drove a 285% lift. All the heuristics help identify changes marketers can make to improve conversion. But ultimately, these changes should inform research questions and hypotheses that you then test with potential customers to discover what works best. The Online Testing Heuristic helps you understand the factors necessary for effective tests. 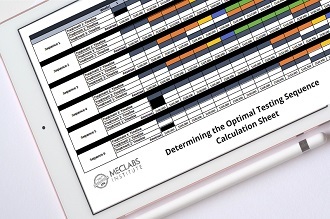 To learn how to apply the Conversion Index Heuristic in your marketing, you can take the MECLABS Online Testing certification course. Thanks for the cheat sheet. By the way, from reading a different article “Optimizing your landing pages part 2” it seems that comparison symbols in the Optimization Index have all been reversed on this page; the other article shows all “greater than” > symbols while this shows all “less than” < ones. Wow, Noah! You’ve got a good eye. Thanks for the heads up on this one. We’ve replaced the image with the correct version.